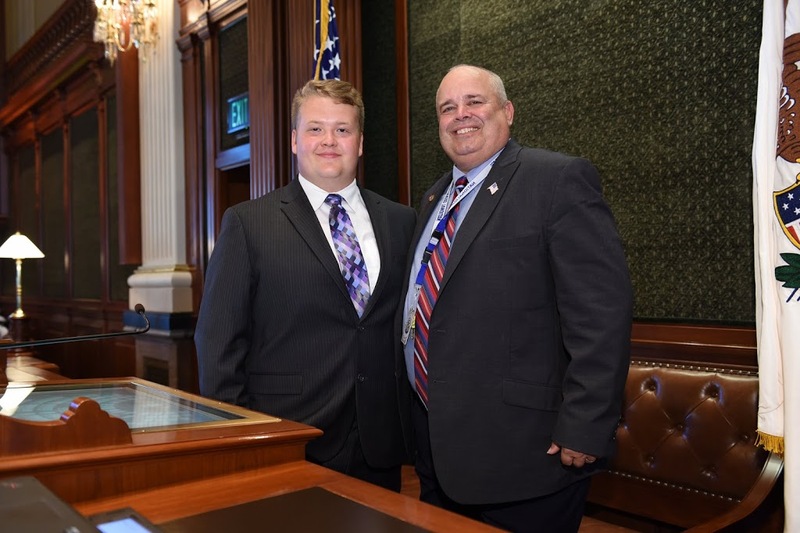 State Representative Dan Swanson hosted Knoxville resident Sean Welch as an Honorary Page in the Illinois House on Monday, May 22nd. Sean is a Junior at ROWVA High School where he is on the Football and Track Teams as well as Band, FFA, Student Council, and FCA. He is also a member of 4-H and on the UCA Mission Team. Sean is honored to be selected to serve as Illinois FFA Section 4 President this next year. Sean is the son of Mike and Theresa Welch.